Smart materials react to changes in external stimulus such as stress, temperature, moisture, pH, magnetic & electric field, light, pressure etc. Increasing technological advancements have resulted in increased use of developed materials rather than conventional materials such as polymers, metal, and glass. Increasing number of end user applications for the smart materials suggest an upward trend in the smart materials market. 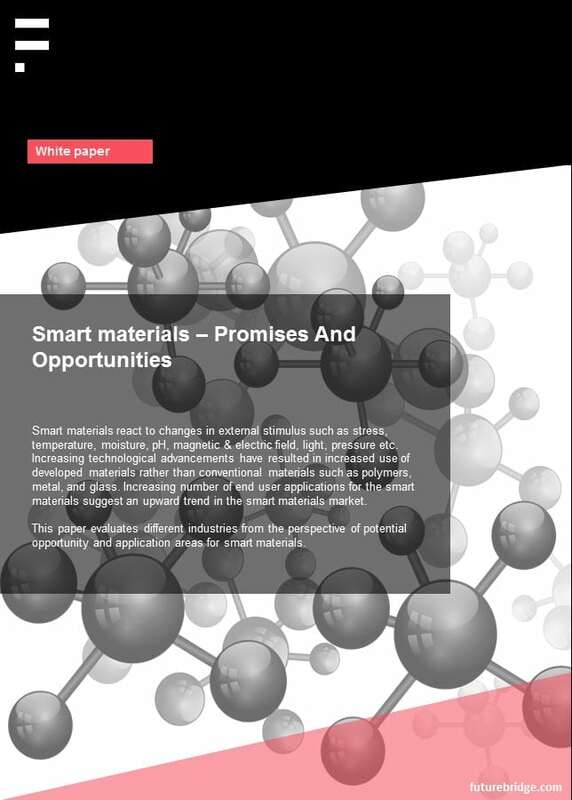 This paper evaluates different industries from the perspective of potential opportunity and application areas for smart materials. Thank you for your Interest. We will revert to you shortly.